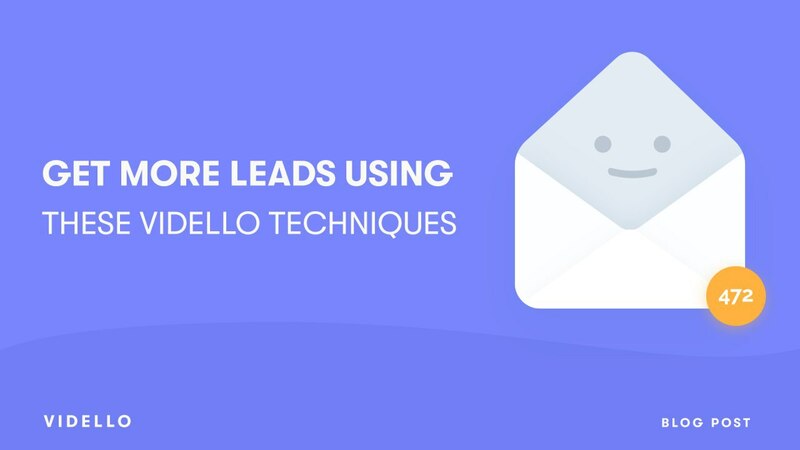 Here are some creative ways that you can use in your business to collect live, usable email leads from your prospects using Vidello. Various pieces of content can be gated or protected as a way to capture email information of prospects who want to view that specific content – even videos – before delivering that value. By gating video, access to the content is restricted unless the user’s email is provided. It’s a mutual value exchange as the prospect gets to consume the value packed content, while your business captures the lead! But, since the entire video is blocked, which can be very frustrating, in order to succeed in capturing their email information you must be able to make the offer enticing enough to make them actually want to give out their personal information and consent to receiving marketing information. This is no mean feat! That means the headline, copy, or thumbnail must be powerful enough to grab not only grab their attention, pique their curiosity, and hook them in, but also drive them to take an action and provide that data. So, make sure you use a clear call to action! You can also add a description outlining what they will learn from the video content so they know exactly what value they will receive in return for giving up their personal info. Another great way to harness the power of video for lead gen is partially gating videos. Videos can be partially restricted to give users even more incentive to opt in: i.e. the viewer has already been hooked to start the video and now they are even more incentivised to enter their email in order to view the content or series in its entirety. This is a strategic move wherein after a certain time or period within the video has elapsed, the content is blocked, requiring the user to provide email information to resume access. By allowing partial access to the video, the user is able to invest a reasonable amount of time, effort, and interest in the video, which is enough incentive for them to want to re-establish their access to it after the restriction. To make it more effective, strategically place the opt-in form before special portions of the video, such as before it hits its climax, after a portion that was extremely fun, prior to giving out something valuable, or the end of the first part of a series. Get creative with it, but remember the goal is to create value, then widthold a little of that value for something in return. The Principle of Equivalent Exchange is law in Alchemy wherein you cannot gain something unless you offer something of equal value in return. While the law may be fictional, it’s actually the foundation of the economy and is the perfect formula for lead generation. Because of this, in order to gain the email information of the user, you can offer something of equal, or perhaps greater, value. This can be in the form of a discount, an instructional video, webinar or even an eBook! Whatever it is, your audience must be able to see the value in the offering and this must counterbalance the effort and consideration they need to enter their email. 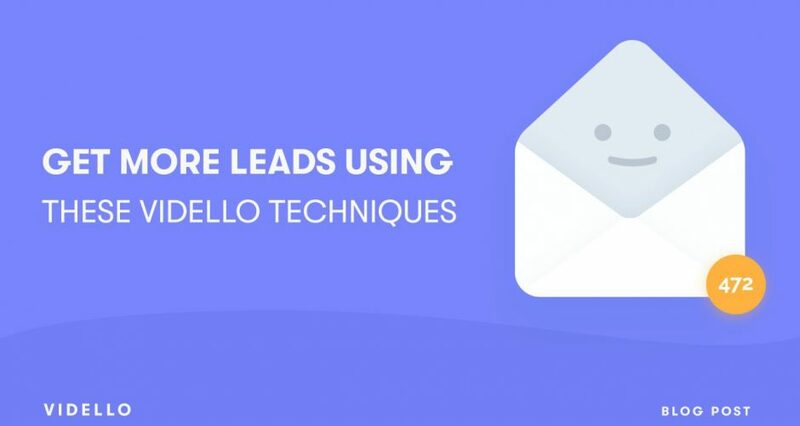 Remember, your lead understands they will likely get marketing emails as a result, so they won’t give it up lightly! What better way to capture the email information of users than to ask for it directly, with no strings attached? Just simply add a segment or portion of the video that directly asks for their email by inviting them to subscribe to your newsletter and stay up to date with relevant news. Of course, this portion should be able to effectively communicate the benefits of subscribing to your newsletter, like receiving special discounts, latest updates or even early access to certain content. Remember, a newsletter (although commonly used online) will still be treated like a commitment by your visitors because they are basically opening their inboxes to receive an email from you every week for the rest of their life (unless they unsubscribe, of course). That means you have to make your newsletter as fun and informative as possible to make them want to subscribe. 5) Place an email opt-in form at the end of the video. You make it a point to make every video you upload informative, valuable, and insightful, not to mention entertaining. That should be enough incentive for your viewers to opt in, right? Why not cash in on the value they were able to get from watching your videos by asking them for their email after that value has been delivered? Adding an email opt-in form at the end of the video allows you to capture email information in a non-intrusive manner, and does not cause frustration (which can harm your brand image) like interruption based or gating opt in forms. This also ensures that your viewers have enough incentive to give out their email because they have already witnessed the value your videos provide and will likely want to come back for more. This can be an especially-effective method for instructional how-to videos or mini-series, but can be used on any marketing marketing that helps the viewer solve a problem or start to reach an end goal in their business. Despite the appearance of various communication channels today, email is still the preferred mode of communication for various brands. This makes email marketing a powerful tool for businesses and should be a cornerstone of their marketing strategy. But, for your email marketing campaign to be successful, you must also be able to capture the email information of prospects effectively. There are many ways to accomplish this as given above. Choose one that you think is more effective and go with it, but there is one more thing. You don’t have to guess. 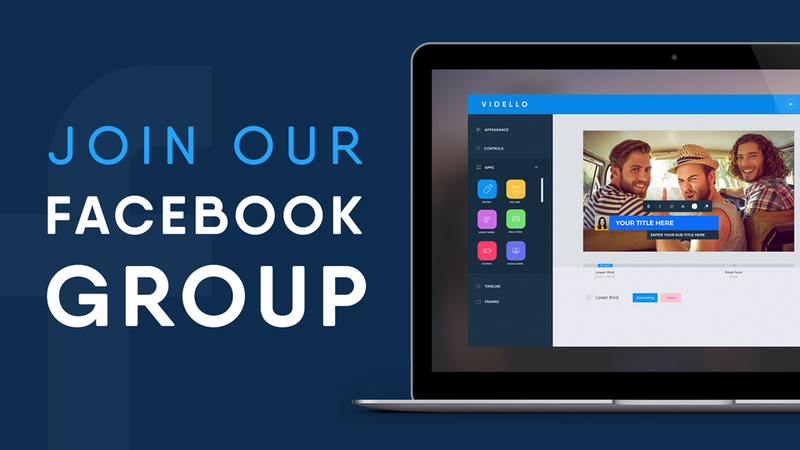 A/B test your videos using Vidello now so you can actually find out with real results what technique works best for your business, so you can double down efforts when you find the best option! It gives you insightful data into each of your campaigns so you can make see which method works.